We have been nominated as SourceForge.net's Project of the Month for March! 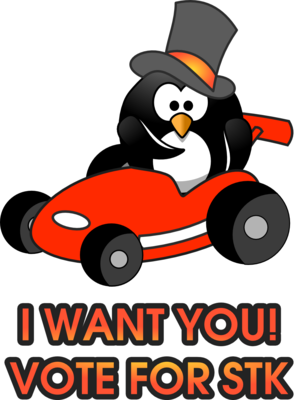 Please vote for us at vote.supertuxkart.net and spread the link and image. This would mean we get an interview and additional exposure on the SourceForge front page and in their monthly e-mail. "You must have a Twitter account to answer this poll/survey." Sorry, i can't vote for you. This game accept in the world.